The riding aids are the medium through which the rider's wishes must be expressed. 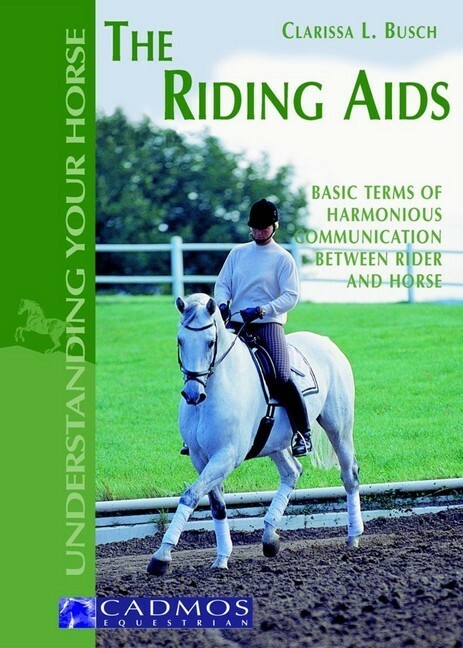 The author explains the elementary terms of the rider's aids in easily understood terms, starting with the relaxed, balanced seat which forms the basis of all riding. Natural aids using the weight of the body as well as legs and hands are initially explained individually, then shown in practical co-ordination: How do I bring my horse to a halt? How do I change from the trot to the walk, from the walk to the canter? 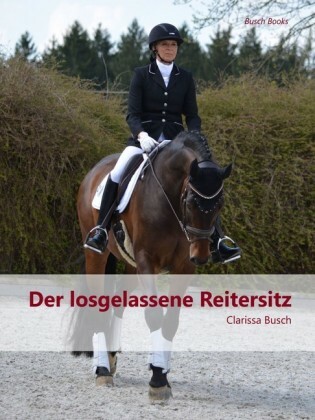 Clarissa L. Busch is a qualified horse trainer and instructor. She has been working as a riding instructor for 17 years and has judged at horse shows since 1994. The aids are the language between horse and rider. 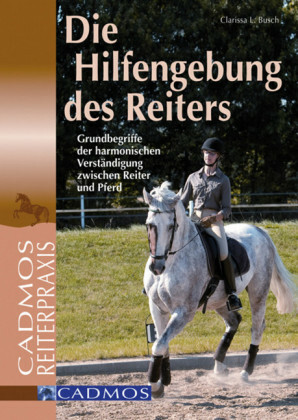 The signals of the rider's aids allow the horse and rider to communicate with each other. This communication is not - as one might think at first - unilaterally directed from the rider to the horse. The horse has the choice of accepting the aids willingly or fighting against them, thereby signalling to the rider what the latter is doing wrong. 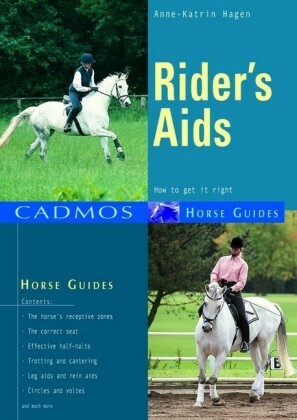 The term "aids" is used for the invisible co-ordination between the unity of rider and horse. In the ideal case, the rider should only have to think of the execution of the task for the horse to react promptly and correctly. However, it takes a long time to attain this goal. One pre-requisite is that the rider and horse have both learned this language of the aids. 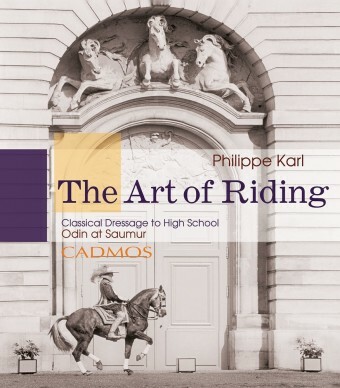 In principle, an inexperienced rider should always learn the aids from a well-trained horse, and a young horse should learn the aids from an experienced rider, in order to eliminate the many misunderstandings which would occur otherwise, and which would have a negative effect on the training of horse and rider in the future. It is often assumed that the horse will automatically understand correctly applied aids and will react to them in text book fashion. This, however, does not usually happen because the situation described in equitation manuals is normally based on a carefully trained and highly gifted horse. In real life, most horses which are not ridden in high-performance competitions will only experience a brief and not always perfect training period. Riding school horses, in particular, often learn the aids under different riders and in a great variety of ways. Such horses tend to learn that they will only have to accept what the rider seriously intends to enforce. The horse will simply ignore vague and poorly defined aids which are not applied with the necessary willpower. Independent of this, the physical predisposition of horses varies greatly. Some lessons or paces will be easier to perform, others a horse will find harder to achieve. This also needs to be taken into account when applying the aids to the horse. For the rider, these considerations mean that he will have to coordinate his aids with the training status of the horse. The aids are always given in the same way, but their intensity and method of application depend to a large degree on the schooling status of the horse. 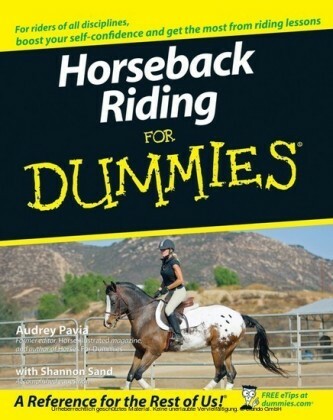 The rider will only develop a feeling for this after years of riding many different horses. A less experienced rider should therefore ask his riding instructor for helpful hints. A correct seat is the first prerequisite for the rider to be able to apply the aids correctly. 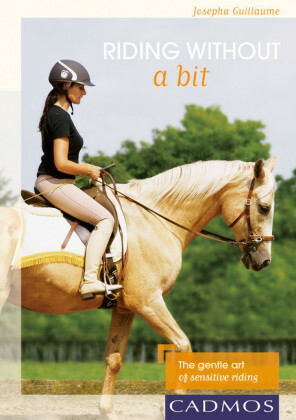 Flexible aids which are independent of the rider's and horse's motion can only be applied if the rider has a balanced and relaxed seat. The balance, in particular, is extremely important for the execution of the aids. A correct seat, upright and relaxed, invisible aids and the horse moving in harmony with its rider. The number one rule is to find and maintain one's balance on the horse's back. Under no circumstances should the rider have to hold on or even have the feeling that he needs to hold on to something. He should always balance his weight so it lies directly above the horse's centre of gravity. Thus, the rider only maintains his seat on the horse by always sitting directly vertically above the horse's spine.